Protect your family home from fires by replacing aluminum wiring in your home. We will remove and replace your existing wiring with copper. A complete solution for aluminum rejuvenation. We replace connectors with silicon to improve your home's electrical safety. We rejuvenate connectors using anti-oxidant compounds and attach copper wire to existing aluminum wire. If your home contains aluminum wiring, a Calgary electrician can make essential improvements that may reduce the risk of a fire in your home. Homes built prior to 1972 with aluminum wiring are 55 percent more likely to contain fire hazards than homes built with copper wiring. If you suspect that your home contains aluminum wiring, a phone call to Gravity Electrical should top your to-do list. Our professionals provide the most comprehensive and reliable aluminum wiring replacement in Calgary. You don't want to cut corners when it comes to aluminum wiring replacement. You're not just putting the value of your property on the line. Aluminum wiring could also present a danger to your loved ones, your employees and your customers. It takes experience, good judgement and professional training to safely complete an aluminum house wiring project, and that is why so many residents and business owners now consider Gravity their preferred Calgary electrical company. 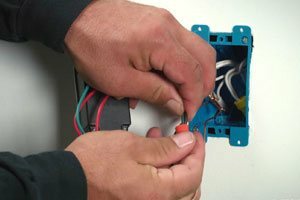 Aluminum wiring replacement is the most valuable improvement that you can make for your residential or professional property. 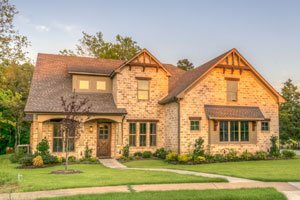 While there are other types of repairs that may make your home safer, complete replacement is often the most reasonable and affordable course of action. As a leading Calgary electrical company with years of experience, we can give your home prompt attention. We'll give you access to a trustworthy Calgary electrician willing to assess the electrical safety of your home and follow through with the most effective solution. You want to rest easy, knowing that your home or place of business is electrically sound. That only happens when you work with the electrical pros at Gravity.